In order to get motivated and intelligent people they have designed their test to check all the abilities of a candidate. Almost more than 50% of people cannot pass intelligence test which includes verbal and no verbal MCQ’s. Pakprep.com can help you with that, we have more than 15000 solved MCQ’s along with explanation (TO START YOUR PREPARATION TODAY CLICK HERE). This entry was posted in Pakistan Army and tagged 143, 143 COMMISSION OFFICER, 143 JOIN AS CADET, 143 LONG COURSE, 143 LONG COURSE DATES, 143 LONG COURSE ELIGIBILITY, 143 LONG COURSE LAST DATE, 143 LONG COURSE ONLINE FORM, 143 LONG COURSE PROCEDURE, 143 LONG COURSE REGISTRATION, 143 LONG COURSE REGISTRATION DATES, 143 LONG COURSE REQUIREMENT, 143 PMA. 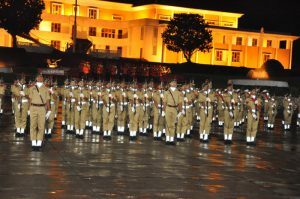 143 ARMY LONG COURSE, Army, ARMY CADET AS 143 LONG COURSE, Army Registration, HOW TO APPLY FOR143 LONG COURSE, JOIN 143 LONG COURSE, Join Pak Army, Join Pak Army as Cadet, LONG COURSE 143, Pak Army, Pak Army Initial test, Pak Army Initial Test dates, Pak Army Long Course, Pakistan Army English MCQs, Pakistan Army Mathematics MCQs, Pakistan Army Test Preparation on October 9, 2018 by Pakprep.com Admin. This entry was posted in Pakistan Army and tagged Join Pak Army, Join Pak Army as Cadet, Pak Army ANF's, Pak Army Initial test, Pak Army Initial Test dates on June 12, 2018 by Pakprep.com Admin. This entry was posted in Pakistan Army and tagged Army, Army Academic Test, Army Engineering Test Preparation, Army Registration, Join Pak Army as Cadet, Pak Army, Pak Army Initial test, Pak Army Initial Test dates, Pak Army Long Course, PAKArmy 142 Long Course registration date 2018, Pakistan Army, Pakistan Army English MCQs, Pakistan Army Mathematics MCQs, Pakistan Army Maths MCQs, Pakistan Army Physics MCQS, Pakistan Army Test Preparation, Prepare Online Army Engineering, Regular Commission Pakistan Army on April 5, 2018 by Pakprep.com Admin.